According to recent Parks Associates research, over-the-top video (OTT) service cancellations in US households has remained at about 18% for the past three years. 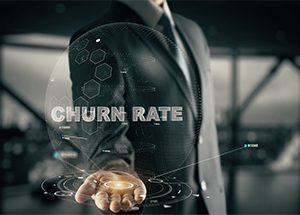 A new webcast analyses this rate in order to provide insight into the challenges of subscriber churn. The webcast aims to provide strategies for OTT providers to increase the value of the service to their subscribers by analyzing viewing habits and trends. The research suggests that services need to focus on retention over acquisition. The average subscription length is 30 months for OTT video services. OTT service viewership has hit a plateau at 65% adoption in US broadband households. 85% of US millennials subscribe to at least one OTT service.